Here’s a fun way to make decorative napkin rings that look like a Native American headdress. The items required are ones that you almost certainly have on hand in your home, so you’ll be able to set the kids up quickly! It’s the perfect addition to your Thanksgiving harvest! Your child can learn to cut while creating a whole family of scarecrows to join yours for a Thanksgiving feast. 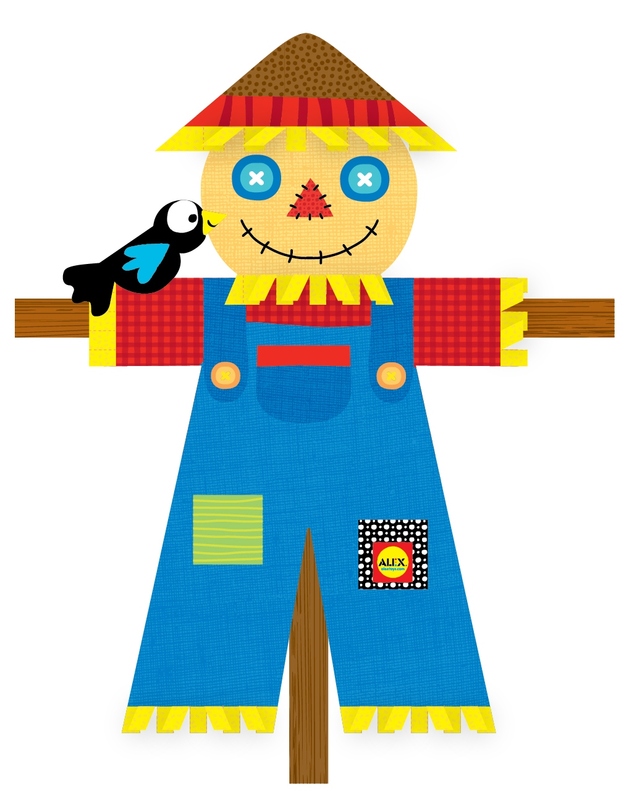 This scarecrow craft is simple enough for preschool age children to make but allows them to create a complete project that they can be proud of. Just cut along the dotted lines and glue the pieces together. For even more fun, have the kids collect sticks from the backyard that they can attach the scarecrow to and put them on display. Creativity is one of the most important skills a person can have. Giving kids an early creative start will help build their self-esteem and confidence for a lifetime of increased productivity. 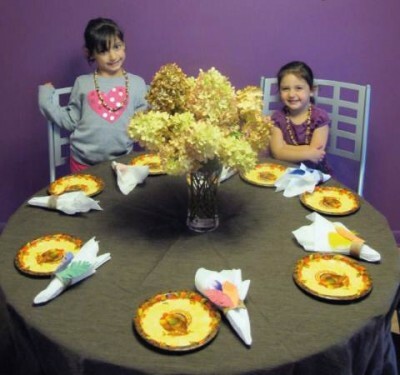 And the holidays are a perfect time for kids crafts! 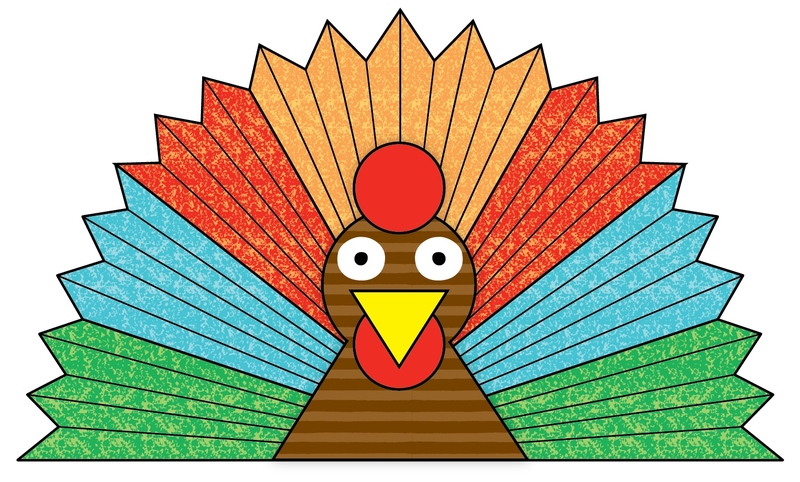 Print out several of our Thanksgiving Turkeys for your preschoolers to make then decorate the house for a festive holiday look, or better yet, they make perfect place settings for the dinner table. Your guests will be touched by the personal touch and their oohs and aaahs will go a long way to making the kiddos feel proud as well as enthusiastic for future craft projects! 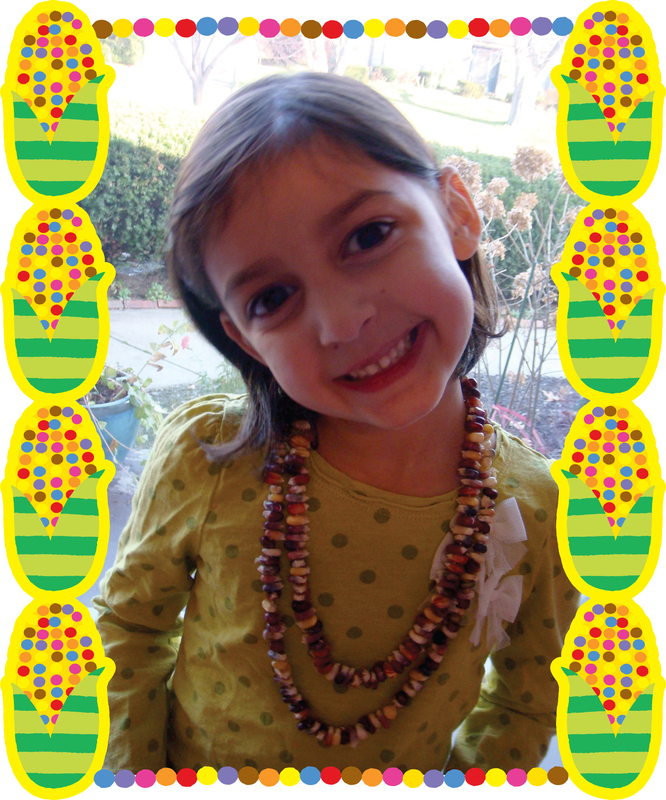 We Give Thanks to ALEX/Kid Concoctions For a Great Thanksgiving Activity – Make Indian Corn Jewelry! Whether you’re looking for a fantastic project for the kids this Thanksgiving weekend or need a way to entertain them while you prepare the turkey and cranberry sauce – this is a great solution! I hate to say it, but the way we celebrate Thanksgiving is not exactly conducive to cultivating gratitude in our children. We buy lots of food, maybe even some new clothes, stuff our faces and then camp out in front of the TV to digest and yell at the Giants to get the ball to the end zone. 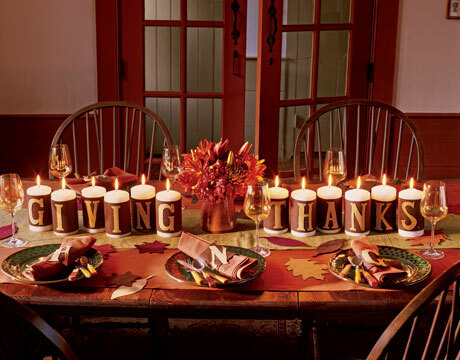 Where exactly is the “Thanks” in Thanksgiving?